Three years ago, he added “author” to his credits when he told his own colorful story of his meteoric rise from humble beginnings in Mexico to the world stage, through his book, The Universal Tone: Bringing My Story to Light. His latest storytelling comes in the form of two projects: a new album, Power of Peace and as executive producer of a moving documentary, "Dolores." NBC News caught up with Carlos Santana during his tour in Baltimore, MD, to talk about this offering. "Power of Peace" is a collaboration with soul icons, the Isley Brothers. The album is an homage to classic songs by a variety of artists ranging from Billie Holiday to Stevie Wonder, Curtis Mayfield, the 60s soul rock pioneers the Chambers Brothers and more. It also features Cindy Blackman Santana, his wife, on drums and vocals. They are songs of peace, love and spiritual romance. 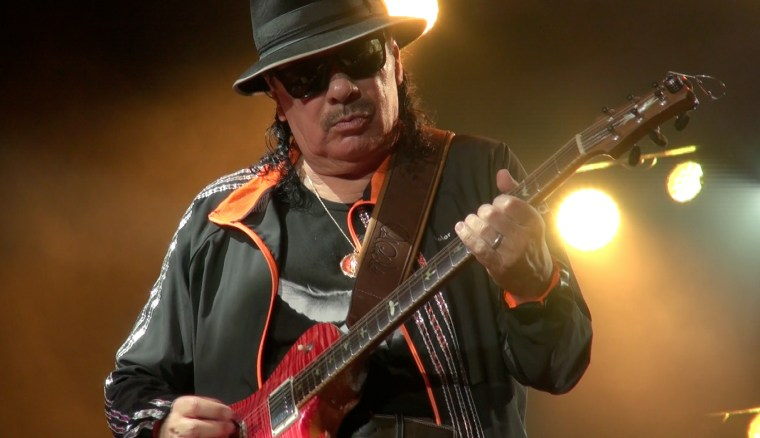 The band recorded 16 tracks in just four days, featuring hits like “What the World Needs Now Is Love, Sweet Love.” The result is a sublime match between Ronnie Isley’s otherworldly lead vocals and Santana’s dramatic guitar playing. Also prominent are Ernie Isley’s guitar work, and Cindy Blackman Santana’s drumming. She also sings for the first time with the band on her original track, “I Remember”. While "Power of Peace" is a sonic kiss to the world, Dolores is a shout-out to the power of women, and to one Chicana in particular. It is the story of Dolores Huerta, one of the most formidable civil rights and feminist figures that few people have even heard of. Together with Cesar Chavez, she led the United Farm Workers movement in the 1960’s and ‘70’s that shed light on brutal working conditions. Even fending police brutality, they fought hard for–and won–better treatment and wages. 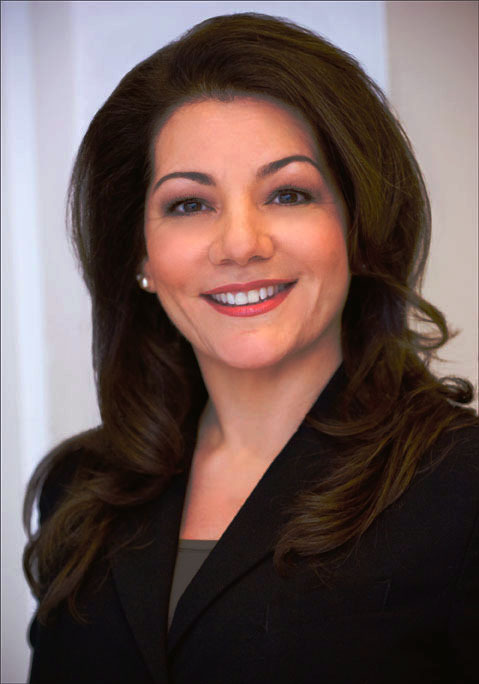 And along the way, she also teamed with Gloria Steinem to empower women. At age 87 and still going strong, Dolores Huerta deserves her due among the world’s greatest civil rights activists. “She’s the real Wonder Woman!,” says an emphatic Santana, who wants to empower women and slay machismo everywhere. “She steadfast[ly] focused to live her life for equality, fairness and justice. That is unheard of in this planet." The powerful documentary is at once compelling, painful, empowering and beautiful as it reveals Huerta’s relentless tenacity in the fight for racial and labor justice, often at the expense of her 11 children and her own safety. UFW leader Dolores Huerta, organizing marchers on the second day of a march in Coachella, Calif., in 1969. Among that team are director Peter Bratt and his brother, consultant (and actor) Benjamin Bratt, and associate producer Angelica Santana (Santana’s daughter.) Already garnering film festival awards, the film is officially released September 1st in New York and September 8th in Los Angeles. Forty eight years since his Woodstock debut, and freshly turning 70 himself, Santana is indefatigably burning as bright as ever. His shows are electrifying. He could easily sit back, but this son of a struggling mariachi and strong-willed mamá takes nothing for granted. Together with his wife and fellow musician Cindy, he is reaching out through what he considers the world’s fear-entrenched darkness to pull us all up with him. “Our spiritual agenda,” he says, “is to ‘transmogrify’: when you change darkness into light, charcoal to a diamond. From pendejo (stupid) to wisdom, you know," he says as he draws laughs. While he strives “to have continuous joy, regardless of the ups and downs of the roller coaster of being human,” his delving into the spiritual path was a result of the rapid successes (and excesses) he and his band experienced after Woodstock. Today, he lives with constant gratitude and purpose. “God gave me this machete of light. And so I cut a trail when I wake up in the morning," he says.